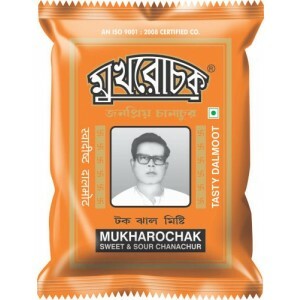 Buy fresh Mukharochak Chanachur Online from Bong Haat. It is the premium variety of Special Papri. Enriched with more refined ingredients and spices to give a mild, yet better taste. Inspite of being 100% vegetarian - the spices are blended so well, that every mouthful crunch will give you - a very Royal Mughlai flavour. It is a healthy snack - no artificial colour, flavour, preservatives or chemical & 0% cholesterol. Ingredients: Double refined vegetable oil, chana besan (gram flour), ground nuts, selected spices & iodized salt. 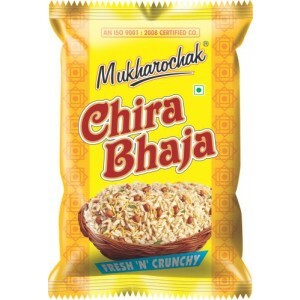 Buy fresh Mukharochak Chira Bhaja Online from Bong Haat. It has a light yet spicy taste blended with peanuts and shew which is an ideal option of evening snack. It is a healthy snack - no artificial colour, flavour, preservatives or chemical & 0% cholesterol. Ingredients: Parched rice (Chiwra), Chana Besan, Double refined vegetable oil, peanuts, curry leaves, iodized salt & selected spices. 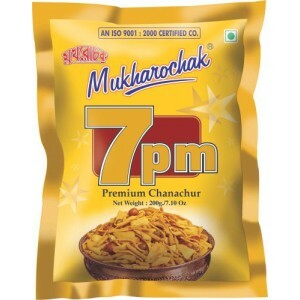 Buy fresh Mukharochak Special Papri Chanachur Online from Bong Haat. 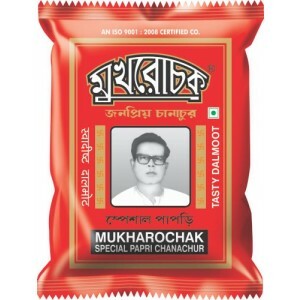 This is very unique & special kind of Chanachur —with an enriched history of more than 60 years. It is made out of fine quality besan, fried in fresh and double refined vegetable oil, tossed with peanuts & moong. Finally it is blended with selective spices (garam masala) - to give it a Royal Taste. It is a healthy snack - no artificial colour, flavour, preservatives or chemical & 0% cholesterol. Ingredients: Double refined vegetable oil, chana besan (gram flour), whole moong, ground nuts, selected spices & iodized salt. 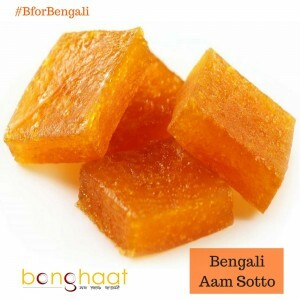 Buy best quality Aam Sotto from Bong Haat. This Aamsotto is sourced from market in Kolkata. This Aam Sotto is made out of mango pulp mixed with concentrated sugar solution and then sun dried and packed. This Aam Sotto is integral part of all Bengali kitchen and this is used to prepare various Bengali dishes. It can be preserved for months making it popular in the off season of mangoes.